Delta's decision to cut ties with the NRA could cost it a generous tax break from the state of Georgia. The state's Republicans — including a major candidate for governor— are threatening to kill part of a bill that would eliminate a state tax on jet fuel. If it passes, the provision is expected to save the Atlanta-based airline tens of millions of dollars. "We felt that it was wrong for them to single out one company," said Chuck Hufstetler, chairman of the state's Senate Finance Committee. 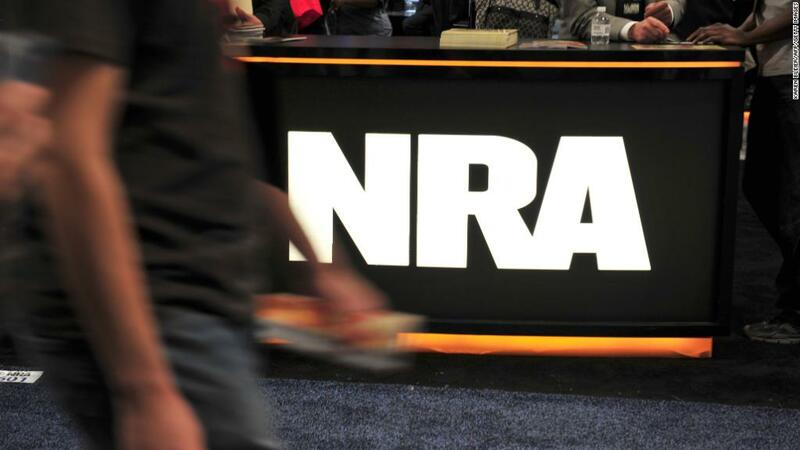 Delta (DAL) on Saturday announced that it would end discounted rates for National Rifle Association members. Hufstetler told CNN on Monday that if the airline does not reverse its stance on the NRA soon, he and others will push for the tax break to be stripped from the bill. The bill still needs to pass the Senate before it can be signed into law. If Delta holds its ground, he added, "I don't think [the bill] will pass as it is." The bill was until recently on track to earn approval from lawmakers. Georgia's House of Representatives voted in favor of the legislation last week. It also won over Republican Governor Nathan Deal, who called the measure an important part of the state's tax reform plan that would "keep Georgia competitive as a major international hub of commerce." Deal said at the time that he was "confident" in the bill's speedy passage. Things changed over the weekend. Delta became one of several companies — others include United Airlines (UAL) and Hertz (HTZ) — to abandon its relationship with the NRA after a school shooting in Florida two weeks ago left 17 dead. That shooting has sparked renewed public debate over gun laws and reform. Delta said in a statement Saturday that the decision "reflects the airline's neutral status in the current national debate over gun control." It did not immediately respond Monday to CNN's request for comment. Georgia Republicans quickly rebuked the airline's decision. Georgia Lieutenant Governor Casey Cagle, a frontrunner in the state's gubernatorial race this year, vowed to "kill any tax legislation" that helps Delta unless it reverses course. "Corporations cannot attack conservatives and expect us not to fight back," he tweeted. Rick Jeffares, a Republican who is running for lieutenant governor, also criticized the airline. "Delta is now seeking a $40 MILLION TAX BREAK from the Georgia Legislature," he posted on his campaign website. "Should Delta be rewarded for their attack on the NRA? I say "NO!" Other companies have stood firm in their relationships with the gun group. FedEx (FDX) is keeping its discount for NRA members in place, saying Monday that it "has never set or changed rates for any of our millions of customers around the world in response to their politics, beliefs or positions on issues." And the streaming platform Roku, which carries the online video channel NRATV, said last week that customers can choose which channels to download or watch. --CNN's Jackie Wattles contributed to this report.